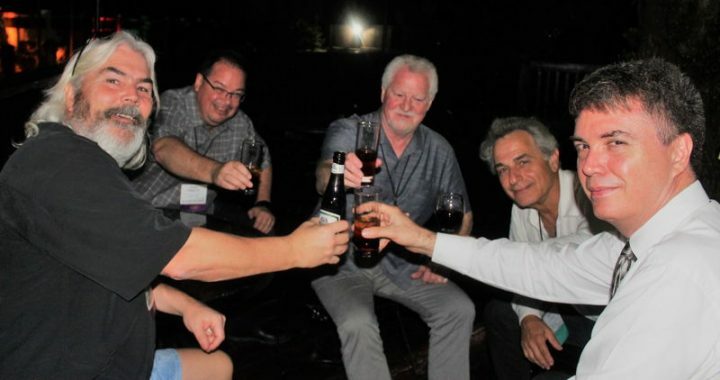 Rob Burrows and Tony Lauria—two of the expats who joined us for our 2019 Live and Invest in Belize Conference last week—were both in similar circumstances just a few years back. Life was too busy—and not in a good way. As a management consultant in Ohio, Rob was working 60-hour weeks, mostly on the road, staying in one hotel room after another… dreaming of his next vacation in the Caribbean. Meanwhile, Tony worked for an international firm as a trainer and instructor and later in corporate sales. Caught up in the bustle of New York City life, he longed to escape to simpler, country living. Today both gentlemen call Belize home… though they’ve gone in different directions. Rob still goes to work. As the owner of Crazy Canucks (a favorite watering hole with expats and visitors to Ambergris Caye), he’s cut his working day down from 60 hours to 20. And, with trivia nights, karaoke, and hermit crab races on his weekly schedule, work is a lot less stressful. On Ambergris Caye, he’s chosen quintessential Caribbean living—with white sand, azure sea, and swaying palms all around. “My wife and I are living much better lives… much healthier lives. Tony lives a healthy life, too… only his choice was the mainland… away from the coast. Small as Belize is (about the size of Massachusetts), it offers a number of lifestyle options. And, country-lover Tony chose Cayo where the living is uncomplicated, back-to-basics, and super affordable. “I was able to buy a turnkey cottage here for US$69,000… fully furnished, fully outfitted,” Tony says. Stephen and Laurie Brown, who previously lived in Saudi Arabia and the Cayman Islands, also call Cayo home. They moved here in 2016, settled into Cristo Rey Village, and have started construction on their own home—due for completion this spring. They, too, shared their story with our audience gathered in Belize City last week. If you missed last week’s event, all is not lost. We captured recordings of all the presentations in Belize—including the expat stories from Rob, Tony, Stephen, and Laurie—and are currently bundling them into our Live and Invest in Belize Home Conference Kit. This bundle of 29 recordings from our 2019 Live and Invest in Belize Conference is currently available at a very special price. As our team works to bundle together all audio recordings, visual materials, and bonus reports, readers can secure a copy for over 50% off the regular price. Reserve your copy today, and you’ll enjoy an additional US$25 off the price… for total savings of 60% off. Simply use your exclusive Coupon Code BHCK20 when ordering to avail of your discount. This discount on all the latest developments from Belize… along with practical advice on how to follow through on your own dreams in this country… expires this Saturday, Feb. 2, at midnight. Until then, you can secure your bargain copy here. Posted in Live And Invest Overseas Confidential and tagged 2019, Belize.